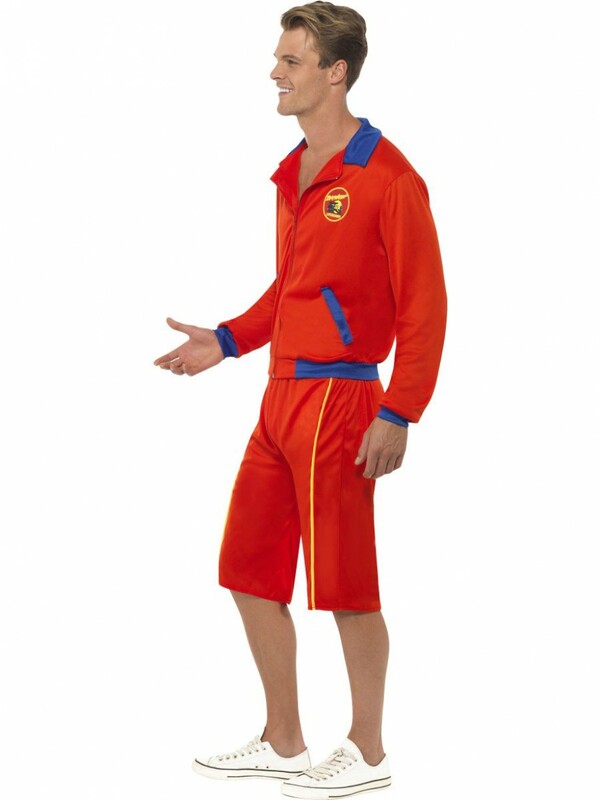 This brilliant Long Baywatch Costume includes Jacket and Long Shorts perfect for TV/90s/Character themes! A vibrant costume; this licenced Long Baywatch Costume is perfect for 1990s/TV/Character fancy dress occasions. Included in this fabulous outfit are a Jacket and Long Shorts. The bright orange jacket has full length sleeves and zips at the front. The collar of the jacket is a royal blue with blue pocket detailing. 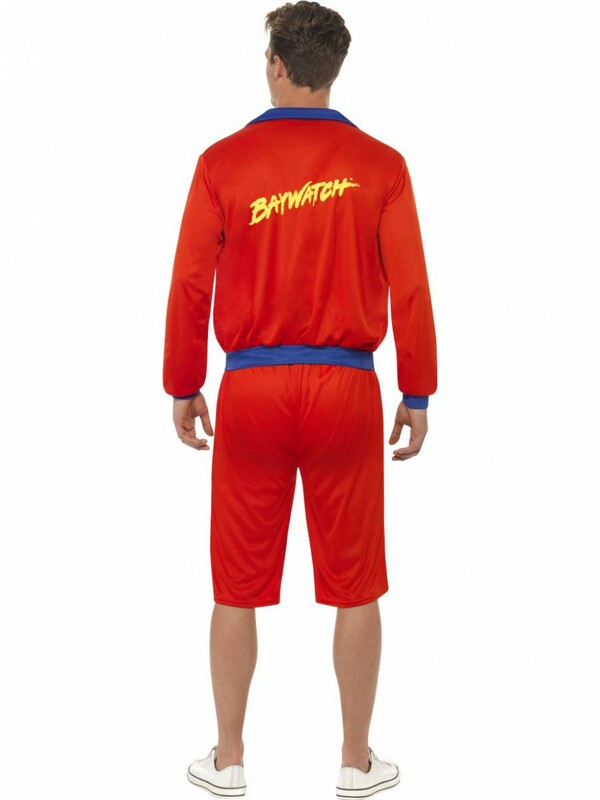 To add even more detail to this costume; the back of the jacket has ‘Baywatch’ printed on the back in the iconic writing and the famous Baywatch logo on the front. Also included in this fantastic outfit is a pair of long beach-style shorts, these measures just below the knee and have a yellow stripe down either side of each leg and the Baywatch logo on the bottom of the left leg. This Long Baywatch Costume is a great choice for any lover of the 1990s Television show! This striking Long Baywatch Costume is ideal for 90s/TV inspired fancy dress occasions, also a great couple’s costume! 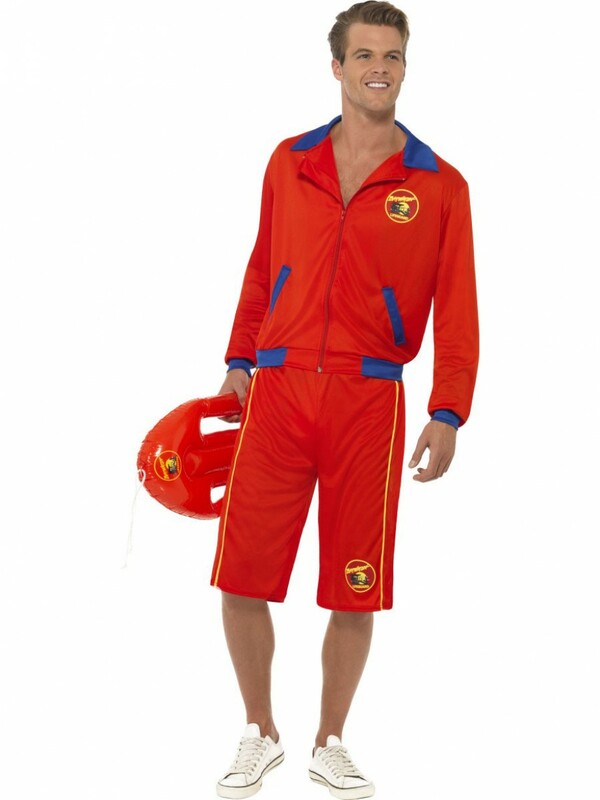 Long Baywatch Costume including Jacket and Long Shorts.